At The North Pole Postal Company, we believe in the magic that Christmas brings. Santa Claus knows the importance of replying to each letter he receives; it’s something about which he’s very particular. 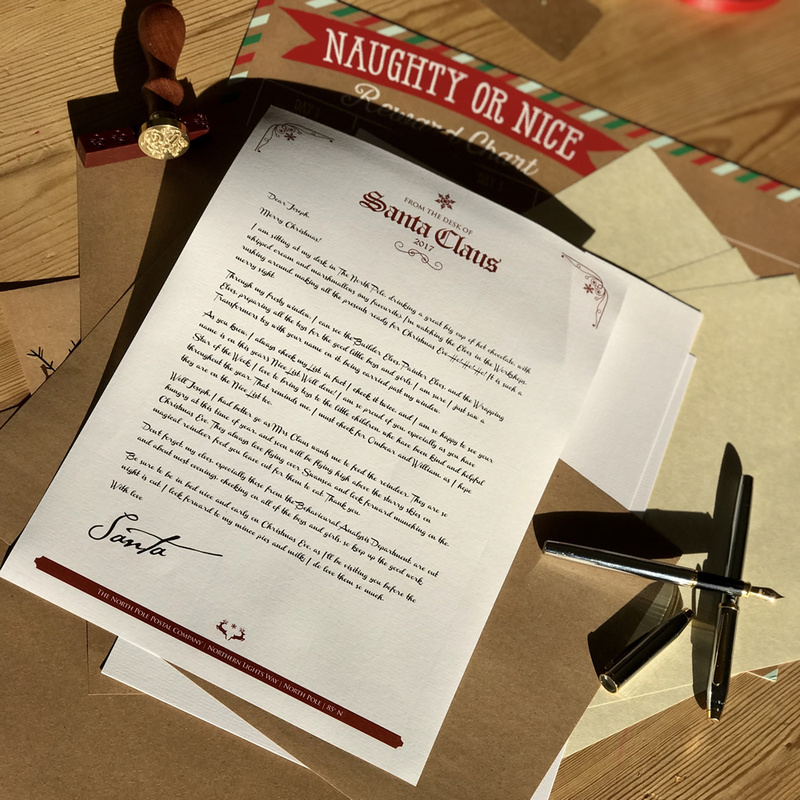 Written on his official notepaper, and printed by his hardworking elves, these beautiful letters are a magical way to start the Festive season. 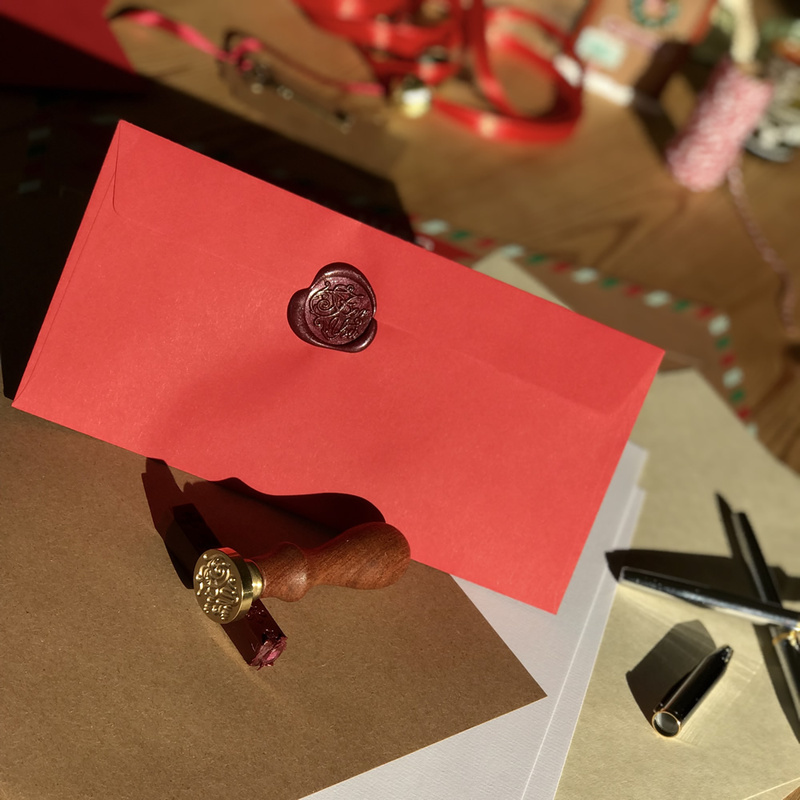 Our letters are signed by Santa, then lovingly folded, and wrapped with satin ribbon, and a miniature (elf-sized) sleigh bell. 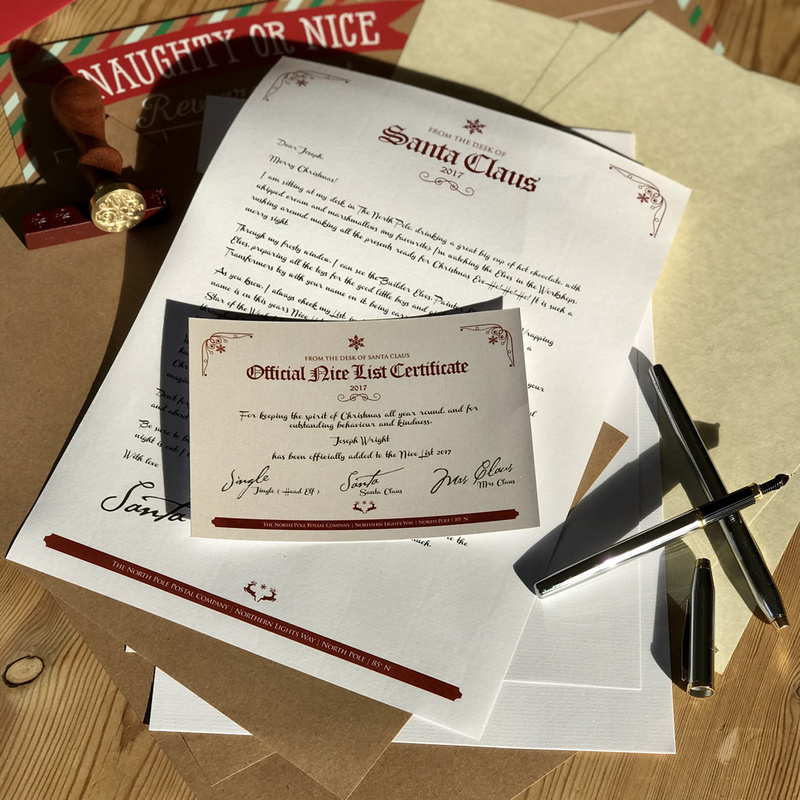 Head elf, Jingle, includes the Official Nice List Certificate, signed by himself, Santa, and of course, Mrs Claus. These have been dipped in star-dust, so shimmer and glisten in the Wintery light. 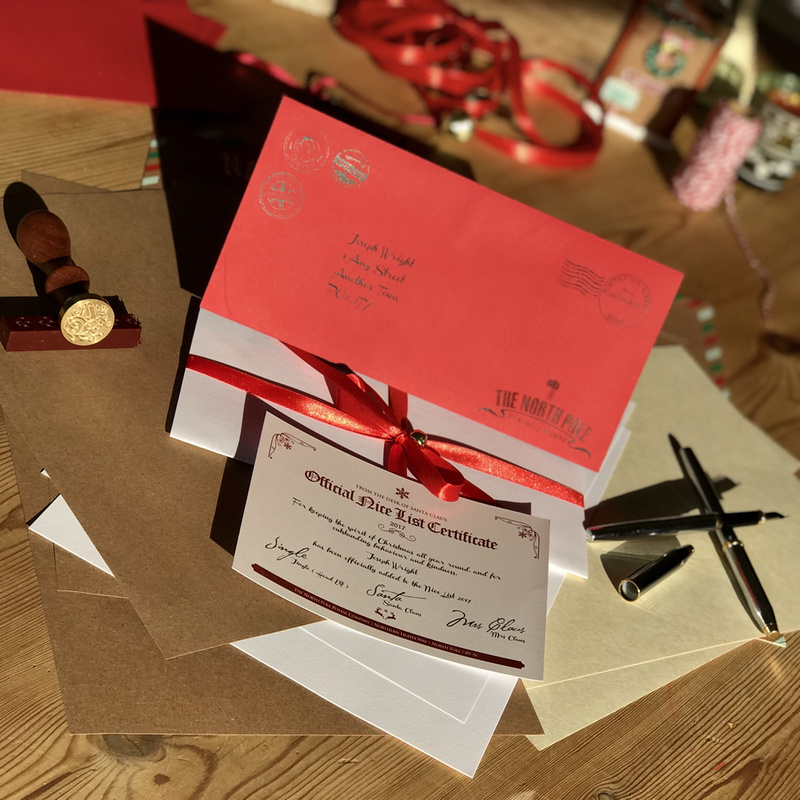 The letter and certificate are placed in the magical enevelope, complete with wax seal, and is sent to Posty Elf, at The North Pole Postal Company, for franking. This is sent to you, or your chosen delivery address, in a sturdy, do-not-bend envelope, to protect it on its journey from The North Pole. Personalised to include your child’s name, their special achievement, or example of good behaviour, description of their wished-for Christmas gift, plus those with whom he or she will spend Christmas, their home town, and the treat normally left out for Santa. Santa is even willing to change which name he uses, dependent on your little one’s choice. PLEASE NOTE ALL OF OUR LETTERS ARE HAND TIED WITH RIBBON OR STRING, AND INCLUDE A SMALL SLEIGH BELL. HEAD OF ELF AND SAFETY, FINGLE, HAS ASKED THAT YOU PLEASE SUPERVISE CHILDREN AT ALL TIMES, AND THAT THE RIBBON AND BELL ARE KEPT OUT OF THE REACH OF YOUNGER CHILDREN.